While many organizations are rushing to develop apps for events and conferences, many initially fail because they do not include critical features necessary for attendees on mobile devices. This mobile conference app showcases important mobile app features and an outstanding user experience now required at today's business events. Developers can modify or reference this app for their own mobile app projects. 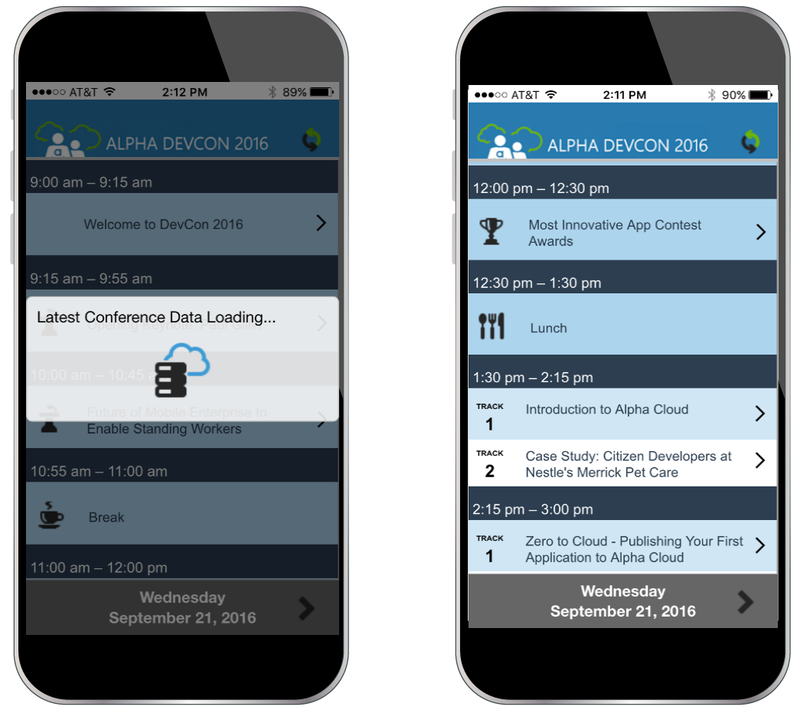 DevCon App is an offline-capable mobile/web application designed for attendees navigating an event, in this case the Alpha Software Developers Conference. This is a real, working application and makes a great template for anyone building a Conference Schedule App. All of the source code for the DevCon App is available on the Alpha Software GitHub account. DevCon App was created using out-of-the-box Alpha Anywhere functionality and is easy to modify. If you like this app, but need assistance modifying it for your specific needs, the Alpha Software Consulting Services Group can help.